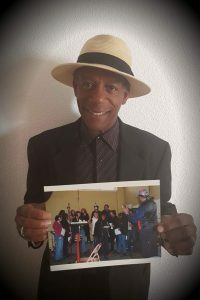 Paul Miles, singer, songwriter, musician, producer, actor, College Hall of Fame football player, father, grandfather, husband, humanitarian, and peace activist has lived a full life. 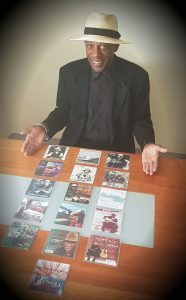 The photo below represents only some of his music catalogue (https://store.cdbaby.com/Artist/PaulMiles) which is approximately 200 recorded songs over the last 22 years. Paul started writing songs at coffee shops at Bowling Green State University during the early 70’s between football seasons. Events such as the Vietnam War, Kent State Massacre, Woodstock Music festival, the Martin Luther King assassination, and the Chicago political riots influenced his writing of “Thought Songs.” First music influences were James Brown, Richie Havens, and Jimi Hendrix. This continued until his pro career ended in 1975, when he became a full-time musician and started writing songs in California during his time living in the coastal city of Huntington Beach. 2002-Detroit Blues Society- First Solo Performer of the year, qualified for International Blues Competition -Memphis, Tenn. I want to thank the metro Detroit for giving me the opportunity to promote my music at many places. I learned a lot from past local greats. I will carry on the lessons I learned. Some of the places below have closed but the blues remain. He has performed at these venues/festivals in metro Detroit. The former “Attic Bar”, World Famous Baker’s keyboard, Caribou Coffee, Jambalaya Festival-Pontiac-Michigan, Blues Stage Club, Tenny Street Roadhouse, Memphis Smoke, Northfield Roadhouse, Pontiac -Arts, Beats and Eats Festival, Hastings Ballroom, Birmingham &Rochester Farmer’s Market, Detroit Festival of the Arts, 5th Avenue Ballroom in Royal Oak/Comerica Park, Midland Antique Festival, Southfield Library Blues Series, Alibis-Windsor, Canada, Capital Theater-Windsor, Mark Ridley’s Magic Castle, Howes Bayou, Danny’s Irish Pub, Channel 4 WDIV-Detroit-Super Bowl Pregame Show Campus Martius, Detroit Winter Blast, Brighton’s 1st Jazz and Blues Festival-2006, Oakland University, Old Town Bluesfest-Lansing-Michigan, Bert’s Warehouse , Eastern Market, and many others… Paul completed his first Sturgis Bike Rally from Aug 4-Aug 13,2011. He has played there thru 2017. 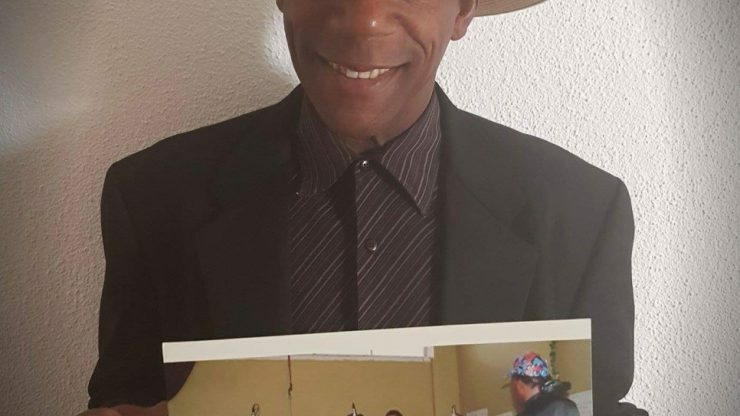 There is a list of radio stations locally playing his music.am/fm/internet… “Keeping the Blues Alive” is his motto.